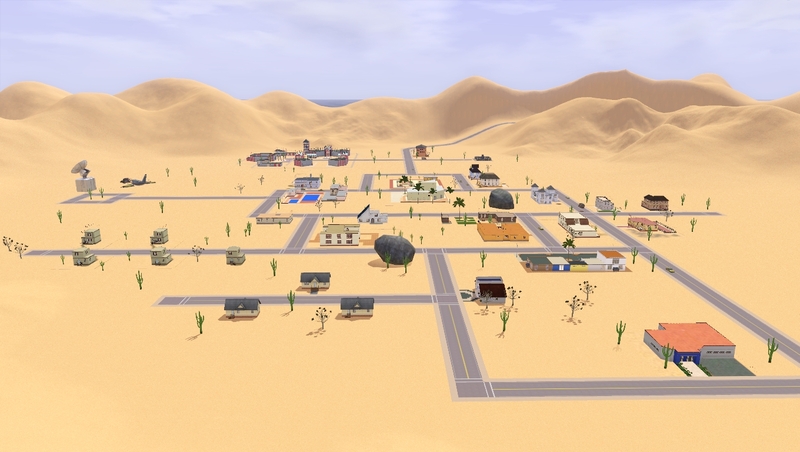 Mod The Sims - La Fiesta Tech University Recreation | Feedback wanted! Worlds/Neighborhoods - La Fiesta Tech University Recreation | Feedback wanted! Replies: 11 (Who? ), Viewed: 669 times. #1 7th Apr 2019 at 10:42 PM Last edited by Simmortality : 12th Apr 2019 at 8:41 PM. 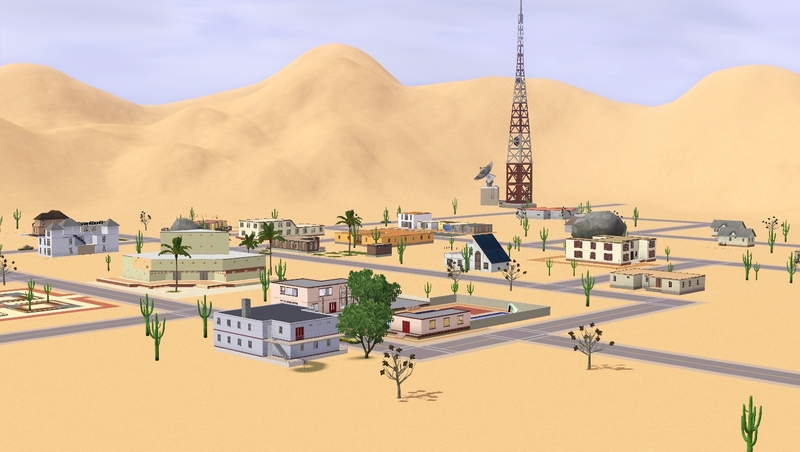 I have been working on a custom university for the Sims 3 during the past year. Now I'm ready to share it with you, but before I can upload it to MTS, I'd love to hear some feedback and maybe even have some testers, who are willing to playtest my world in their game. If you wish to be a tester please let me know in this thread! I will include more pictures and information soon. But for now, I'd love to hear some of your thoughts on this! I think it looks good. 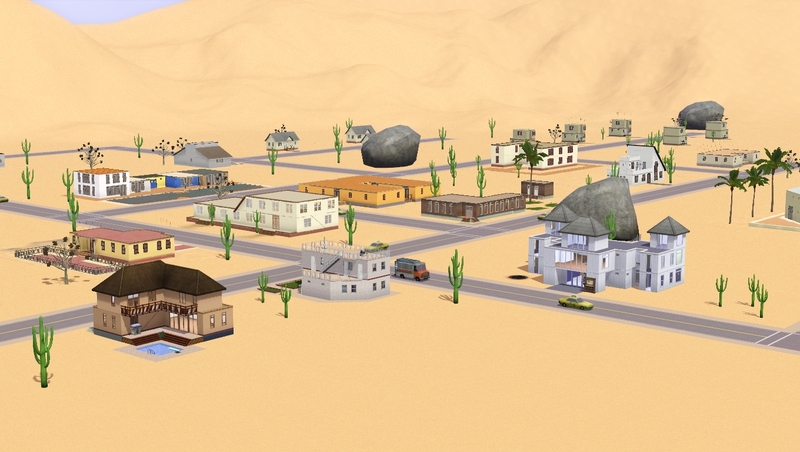 I would suggest more shading of the terrain and also more landscaping of the lots. In the US in places like Arizona and New Mexico the settled areas have much more in the way of trees and landscaping. It looks good but pretty barren now. Not sure about those huge rocks. So I think this is a great start and it just needs to be filled in more? Oh wow! Is that a recreation of La Fiesta Tech? I love it!! But I do agree with daisylee, that it needs a bit more texturing. 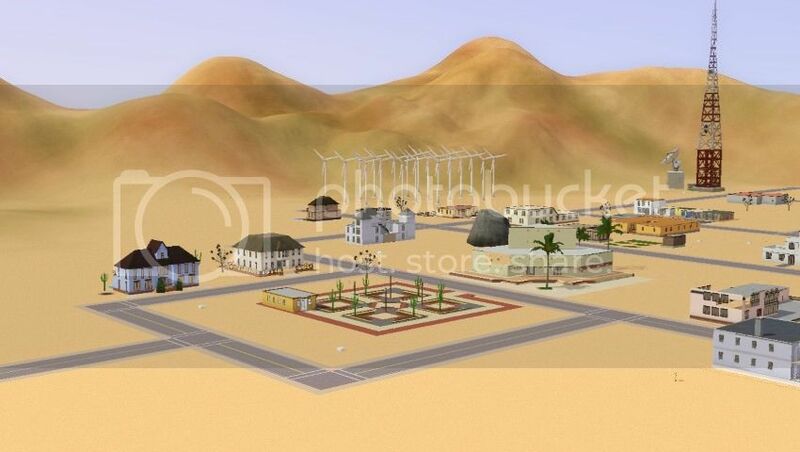 Like when you look at the neighborhood in The Sims 2 you can see how the hills are more reddish on the top and how under the mountains there are grassy spots. I think things like these are important to make the world more alive. Otherwise I love it so far! 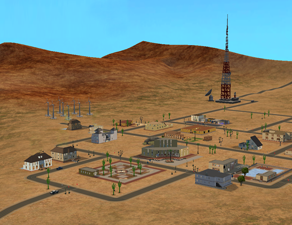 This is indeed a recreation of La Fiesta Tech I think it's a very good idea to do some more texturing, I will definitely work on that! #6 11th Apr 2019 at 9:20 PM Last edited by Simmortality : 14th Apr 2019 at 3:28 PM. I'm really glad it turned out well, cost me some nerves to get a result that didn't look absolutely terrible! I'm also very thankful for your pushing me to do this! I like it so much better know, but I wouldn't have dared to experiment with the terrain painting if you hadn't said anything. ps: thank you for sharing your progress here on mts (: I think it's very interesting to see the way other people work and help each other, share advises/suggestions and ideas. Save as is a wonder for CAW. We can try things and if we like go ahead. And if no, go back to the prior save. I have changed my mind on things. And they are good backups. Thank you so much for your tips! I will definitely need to pay more attention to making backups.